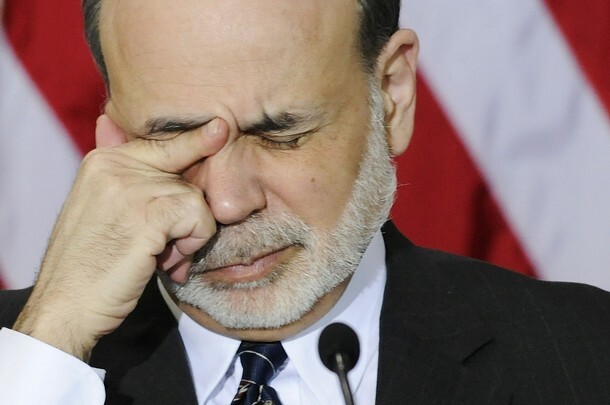 Bernanke’s estimate of two million jobs created as a result of his policy appears to be a stitched-together estimate based on two research papers: Fuhrer which estimated a gain of 700,000 jobs from QE1, and Chung et al which estimated 1,800,000 jobs. Given the range of estimated effects on real spending (GDP), the translation to employment effects is accomplished by use of an Okun’s Law relationship that links GDP growth and changes in the unemployment rate. The typical relationship expressed in quarterly changes is summarized as: Change in unemployment = -0.125 (GDP growth – potential GDP growth). GDP growth for one-quarter that exceeds potential GDP growth by 1 percentage point results in a one-eighth (0.125) percentage point decline in the unemployment rate. Equivalently, quarterly growth in GDP that exceeds potential growth by 1 percentage point for a year typically lowers the unemployment rate by about one-half percentage point. Combining this simple Okun’s Law with the estimated effects on GDP discussed in the preceding section implies a decline in the unemployment rate of 30-45 basis points over the 2-year period it takes for the spending rate change to feed through the economy. With the U.S. labor force currently at just over 150 million people, this translates to an increase of about 700,000 jobs, a figure quoted by Boston Fed President Eric Rosengren in his speech of November 17, 2010. The number of layers of uncertainty is problematic. First we have uncertainty over the level of GDP growth provoked by QE. Second we have uncertainty as to the reliability of the measure and concept of potential GDP growth. And third we have uncertainty as to the extent of the relationship between GDP growth, potential GDP growth and unemployment in this specific case. Essentially, the equation assumes that because GDP growth has historically resulted in job growth, we should assume it will do so in the future. But this is a very different economy to the one we had fifty years ago. 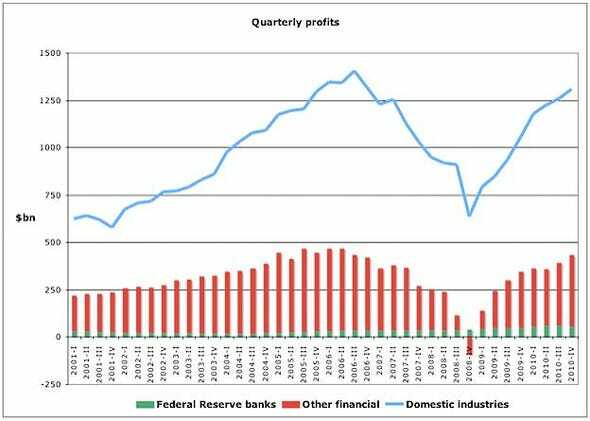 Today it’s possible for the financial sector to generate profits (and thus, GDP) by passing liquidity around the financial sector. And today, any American demand boom will create jobs in China and Mexico (etc), because that’s where the industrial and manufacturing jobs have been shipped to. So Bernanke’s figure is a guess based on a guess based on a guess based on old data. Maybe 2 million. Maybe, maybe, maybe, maybe. How do we know that after a big, painful bust that after a short burst of deflationary pain that job growth wouldn’t have come roaring back? After all that happened multiple times in the 19th century. Hank Paulson might claim that he saved the world from a thousand year nuclear winter by bailing out his former employer Goldman at par on its credit default swaps. You can claim anything about what might have happened otherwise. Maybe, maybe, maybe. Such claims are junk science because they are unfalsifiable. Yet the reality is very clear — either people have jobs or they don’t. That’s what the regime will be judged on. 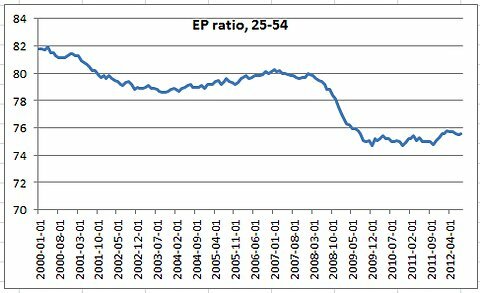 Quantitative easing hasn’t been about jobs. If this was about jobs or stimulating demand, Bernanke would have aimed the helicopter drops at the wider public, as many economists have suggested. This policy of dropping cash directly to the banks is bailing out a dangerous and morally-hazardous financial sector and too-big-to-fail megabanks that remain dangerously overleveraged and under-capitalised, needing endless new liquidity just to keep past debts serviceable. There has been plenty of cash helicopter-dropped onto Wall Street, but nobody on Wall Street has gone to jail for causing the 2008 crisis. Criminal banksters get the huge liquidity injections they want, and the rest get less than crumbs. This entry was posted in Economic History, Economic Theory, Economics, Politics and tagged banksters, bernanke, jackson hole, quantitative easing, reality. Bookmark the permalink. The real criminals are the politicians who are bought and sold by the big money interests. Blaming Ben or the banks is directing your ill will into the wrong target. The again it just may be the stupidity of the electorate who seem to know nothing about how capitalism or the free market works. Okay I can understand assuming the best intentions of the economists. I really can. But not blaming the banks? The banks blew up the economy in 2008. They lobbied for all the corruption, the repeal of Glass-Steagall, the CFMA, and they held the world to ransom in 2008 with bogus demands for bailouts. Not to mention all the schemers like Corzine who steal with impunity. Banking is theft, plain and simple. On a normal day, they steal through inflating the money supply, float, interest rate manipulation, etc., and on a particularly ugly day [such as last four years], they just steal everything not nailed down. Great post John, you hit the mark as usual. If anything this exposes the Fed for the joke economists they are. Trying to justify their policy mistakes using multiple levels of dubious assumptions indeed. Does Ben have any credibility left? He’s just making excuses now. Can you stand a little more reminiscing from an old timer? Churchill said Soviet Communism was “a puzzle inside a mystery wrapped in an enigma”. Have central bankers risen to this championship level? Long ago joke: “A bank will give you a loan if you can prove that you don’t need it.” Nowadays, a bank will give you a loan whether you need it or not, but you don’t want one. In examining the 2007-8 firestorm, let’s not forget the massive accumulation of tinder (sub-prime lending) mandated by the GOVERNMENT* (Clinton administration, Sen. Dodd, Rep. Frank, Fannie Mae, Freddie Mac), which was then ignited by bankers’ hiding it inside “securitized” packages. * Started with Clintons’ “Community Reinvestment Act”, accelerated in Democratic-conrolled congresses, and objected to, but NOT vetoed by, Bush. The Federal Reserve is just the big bank behind the TBTF commercial banks. Why would you think that the Chairman of the Fed would do anything other than help out the TBTF banks? The whole “maintain full employment” BS that the Fed is supposed to be about is just part of the illusion that helps people think that the Fed is there to help people. Same with their other directive…maintain a stable currency. They couldn’t have done a worse job on that front either. The world is a man climbing the rocks of a waterfall from a tranquil pool of peace below and with each of his struggles for another, higher grip…to now pull himself up and closer towards the edge from which all mysterious, life giving water flows to nourish the peaceful state below, surrounded by gardens of life and love calmly rippling out…he seems as if he’s struggling more and more against the apparently impersonal, rushing tide which at first glance looks to be weighing him down every time he advances. But look more closely. You may realise that life itself is suggesting to him that he ought simply to content himself with the peace below and the plain fun of the climb, and to not waste anymore of his valuable time and energy on pointless expeditions centred around trying to totally understand the supposedly single source from which all good things in life are said to spring. Al (Sep 09 @ 09:02:30 and Sep 09 @ 15:50:18): I trust your “content with peace below” and “waste of time and energy on trying to understand” apply only in the philosophical/theological realm, not in pulling civilization up from starvation, plague, ignorance, tribal killing, etc. Vaccines and synchronous satellites are created neither by God nor OWS spoiled brats, but by struggling individuals/teams of individuals. Banks have been bailed out…I would like to know how they have benefited (not because I do not think they have, but just to gain more clarity)….their liabilities have been reduced and their assets have increased…and people who work at the top levels have gotten huge sums of cash including those who own shares in the banks. The rest of us have benefited from a system that still functions? What if it was allowed to implode all savers would lose everything and all debtors would get their debts cancelled…privet property and others laws would still function? When bankers get huge bonuses they invest this in stocks and making loans? What happens when their portfolio keeps increasing…is it just digits on a computer to record their wealth plus all the other real land and other commodities they own? In short are they wealthy largely only on paper only and if the system would collapse would they lose all their fantastic paper wealth overnight? If so they will never allow their system to just collapse. Is Bernanke subtly dissing Obama here? I mean, isn’t he taking credit for all the job creation that the Ds just crowed about in the convention? Bankers are the ultimate social parasite. They feed off of the lifeblood of the economy [while at the same time] convincing the host that he [the host] will die if any harm comes to them [the parasite]. As the host writhes in his death throes, the parasite, champagne glass in one hand, hundred dollars bills in the other, celebrates life while reading the host his last rites. The world is a man climbing the rough rocks of a wild waterfall from a tranquil pool of peace below, and with each of his reaches for a higher grip…to now pull himself closer towards that mysterious edge where all life giving water flows down from to nourish the peaceful pool calmly rippling out below, surrounded by gardens of life and love and naked nature…he looks like he’s struggling more and more against the apparently impersonal, rushing tide which weighs him down every time he advances, at first glance. But look more closely. You may realise that life itself is suggesting to him that he ought simply to content himself with the peace below and the plain fun of the climb, and to not waste anymore of his valuable time and energy on relatively pointless expeditions centred around trying to totally understand the supposedly single source from which all good things in life are said to spring. The world is a man climbing the rough rocks of a wild waterfall from a tranquil pool of peace below, and with each of his reaches for a higher grip…to now pull himself closer towards that mysterious edge, from where all of the life giving water flows down to wind up nourishing one of the peaceful but still infinitely complex side-pools you can find if you walk for long enough along the stream lying beneath it, and which calmly ripples out with gardens of life and love and naked nature surrounding it as a busy audience sat in quiet awe at the expense of some major actor might be – like our gushing waterfall under which man perpetually climbs to improve tomorrow for those borne today…he looks at fist glance like he’s struggling more & more against the apparently impersonal, rushing tide weighing him down every time he advances closer towards the allegedly impossible task of discovering that exciting edge of knowledge to improve things for his future generation. But look more closely and have a bit of trust and who knows you may surprise yourself. It may even be that you think life itself was suggesting to him that he ought simply to content himself with the peace below and the plain fun of the climb, and to not bother wasting anymore of his valuable time and energy on the relatively pointless expeditions centred around trying to totally understand the supposedly single source from which all good things in life are said to spring, but to rather just keep in mind that instead of inheriting civilisation from the past, he actually was borrowing it from the future, and that therefore we should all plain and simple strive to act in a peaceful fashion. Central bankers are modern day sorcerers using powerpoint slides. They garb themselves in academic respectability. They garb themselves in mathematical models and econometric estimations. They produce learned papers written in guarded academic language that they abandon when they use the power to print money.